The author of Other Houses answers eight questions submitted by eight other authors. Other Houses, a poetry collection, is the latest work from London, Ont. writer Kate Cayley. Her previous book, the short story collection How You Were Born, won the 2015 Trillium Book Award and was a finalist for the Governor General's Literary Award for fiction. Below, Kate Cayley answers eight questions submitted by eight of her fellow writers in the CBC Books Magic 8 Q&A. 1. Tomson Highway asks, "What keeps you going — first as a writer, and second as a human being?" As a writer: other writers and their books. The sense of belonging among a group of people who don't even necessarily know each other, and who see things very differently, and yet are engaged in the same project. Also some hope that, fundamentally, writing is about taking seriously the reality of other people, about a kind of struggle to love the world and to see it clearly at the same time. As a human being: my wife and our three children. They give shape to everything. 2. Paul Yee asks, "Do you find that readers read more into your work than you had intended?" Yes, and I find it fascinating and disconcerting. This has happened in relationship to a couple of short stories I've written, which use some autobiographical elements but aren't directly autobiographical. Realizing that some readers who knew a little bit about me assumed that these were full and direct confessions made me want to never write anything ever again that came close to my own life, because your life always impinges on the lives of people who know you. It also made me notice more when I did that myself as a reader — attributed an event or opinion to the writer rather than the book. It's so tempting and so faulty. The writing hews close to the life and has nothing to do with it at the same time. It's impossible to tell which is which. Of course, sometimes the "reading more" is lovely — where someone seems to have found a complex double meaning when I was being particularly flat and literal. Which says more about the reader than me and how reading is part of making. 3. Michael Christie asks, "The Beatles or the Rolling Stones? The Tragically Hip or Arcade Fire? Beyoncé or Rihanna? Margaret Atwood or Alice Munro?" The Rolling Stones. The Tragically Hip. Beyoncé. Alice Munro. I'm now anxiously scrutinizing this list, wondering what kind of person I am. 4. Yann Martel asks, "What's the favourite sentence (or scene) that you've written?" 5. Kit Pearson asks, "How important is setting to you, especially Canadian settings?" Locality is important, the sense of the world around the story, the history and the life that goes into the story. I am a little leery about the importance of Canadian settings as a category — yes, it matters to me that the setting is not generic, feels lived in, but that doesn't have to mean Canada (though sometimes it should!). And Canada is a broad category (like America, though it seems to bother them less to use it as a category). 6. Madeleine Thien asks, "When does talking to oneself become a problem? Or, when does not talking to oneself become a problem?" I talk to myself all the time. Sometimes I talk to people who aren't present and people who don't exist. I think it becomes a problem when I engage in imaginary arguments in which I am very witty and always come off best. It's the lowest human impulse, the desire to come off best. Even in my own mind. I don't know when not talking to myself would become a problem, as I haven't experienced it yet. I'd need to shut up first. 7. Mariko Tamaki asks, "How much of your writing process involves actual physical writing these days? Do you go write to the computer or do you work things out with pen and ink first?" Not enough involves actual writing. Much of my process involves fretting. I hope this is somehow productive. I write notes longhand, layouts, scene fragments or lines. But the "real" writing is done by computer. 8. 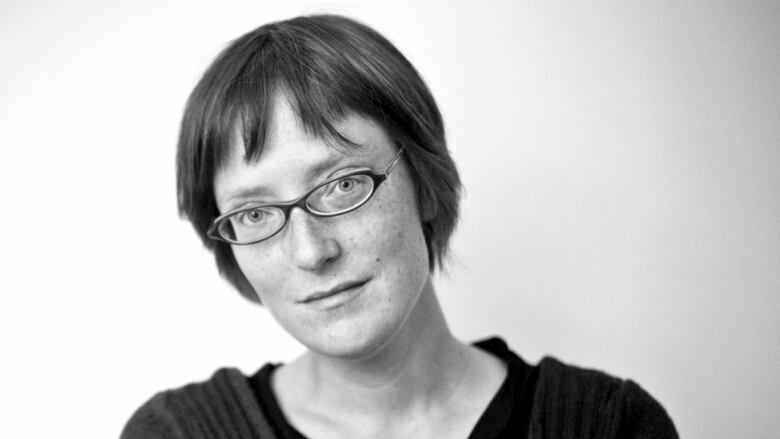 Karen Solie asks, "Do you remember who you were reading when you first realized, not that you wanted to be a writer, but that you were intrigued by writing and what it can do?" I was sitting on a bench in Berlin recovering from emergency dental surgery. I was 27, so this is quite late (and it took me another six years to publish my first book). I was working as a theatre director and had just begun to wistfully want to take myself seriously as a writer without really knowing what that meant. I was reading A. S. Byatt's introduction to Iris Murdoch's The Bell and suddenly realized that just trying to write a good sentence could absorb your entire life, could demand all your attention in the most profound way. This was the most exhilarating feeling. I think I actually sat up straighter. Like I'd found my purpose.